From the moment I made my first pair of espadrilles I have been dreaming about all the possibilities for using the soles to make all kinds of shoes. Gladiator sandals, slippers, felted, embroidered…so many ways! It’s endless! And, indeed, my I GOT IT kits, which come with the shoe soles and essential tools but not fabric, are by far the most popular of my kits. There is a palpable creative potential in these kits and I love knowing they are out there in the world becoming beautiful shoes of all kinds. This feeling was the motivation behind The Artist Series. I am so proud and excited to have gathered so many fabulous creative minds to create espadrille shoes to blow our minds. I feel like the crafting & artisan worlds most fabulous makers are all in one glorious room together. This is Art + Espadrilles and I am simply amazed and humbled that so many incredible artists say yes to joining this series. Before I dive into introductions, however, a bit about The Artist Series : Espadrilles + Art. Every month for the rest of the year I will highlight an artist and their inventive pair of espadrilles in their own medium. For that month only I will have an I GOT IT kit for sale along with a PDF the artist has created. Once their month is up the artist’s kit is no longer available. I know this will be an incredible and inspiring year-long adventure of fabulously creative shoes. This month, Katie Kortman got us started in March with a pair of fabulously colorful, joyful painted espadrilles. Her kit is available here for only a few more days. Let’s meet everyone, shall we? Katie brings her background as an in-house artist at Anthropologie to pull together a how-to AND video for anyone interested in painting espadrilles so DON’T MISS OUT. (Be sure to check her blog for Katie’s tutorial on how to make the fab pom-poms.) As I mentioned, Katie spread her characteristic color cheer through the month of March with a tutorial on painting espadrilles. Get her kit here. Beyond that, though, she is busy educating all of the garment sewers on Instagram about color theory and bringing a party of color to hand-makers. Katie Kortman – Katie loves painting, sewing and dancing (particularly in the things she has painted or sewn)! She is an artist, teacher, and a mother to 4 kids. Katie’s part of a Military family and lucky enough to have lived and travelled all over the world! Wherever she goes, she seeks out bright, joyful color to paint and sew all the beautiful things. 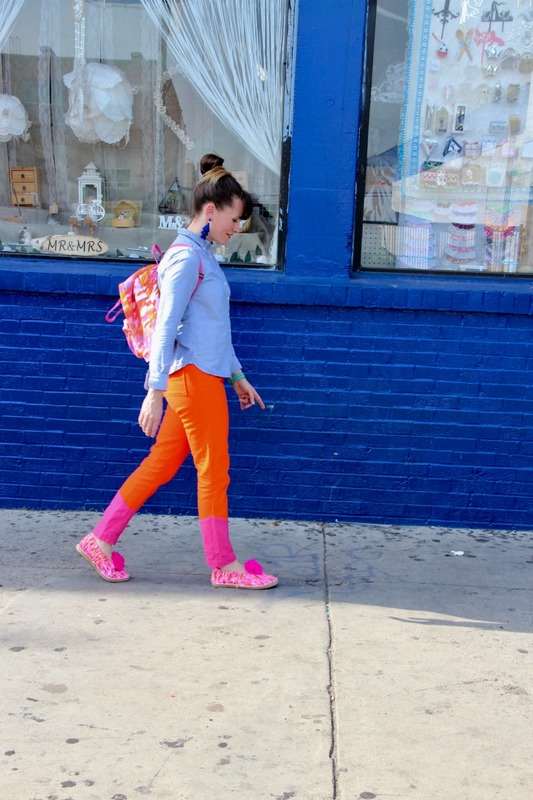 All of this joyous color is evident on her blog and Instagram where she dons her bright clothes and does lots of crazy dancing at. Come say hi! Melanie is an award-winning quilter whose philosophy around quilting is to explore, understand and accept your true self. That exploration has led Melanie into some fabulous places playing with color and shape. Her latest work on thumbprint quilting (check out her Instagram for mind-blowing examples) is what she will bring to a pair of shoes. Trust me, these are going to be spectacular. 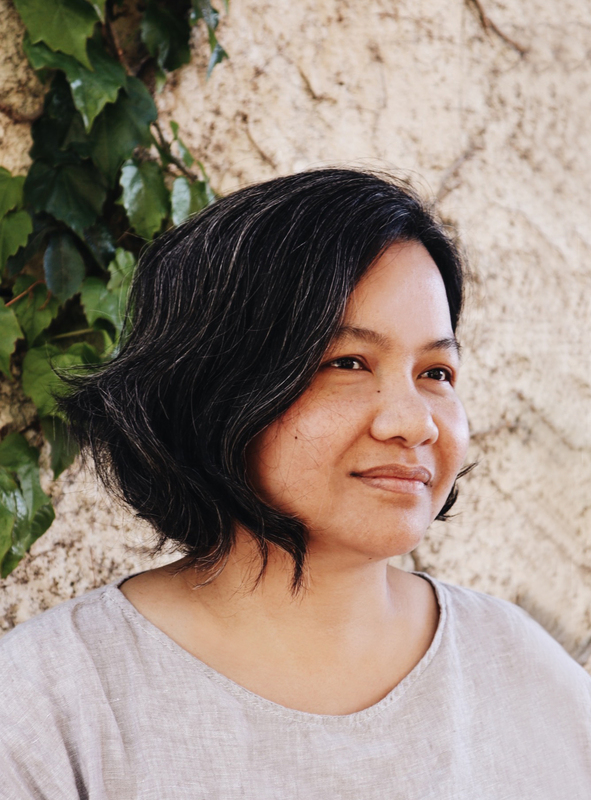 Melanie Tuazon – Melanie Tuazon is a quilter, teacher and writer who found her creativity after years of covering creatives as a journalist. She discovered quilting as a new mother and uses the practice to serve the parts of her life that need order, artistic exploration, or something in between. When not holding a needle or a pen at home in New Jersey, she travels to teach workshops and speak about the power of a personal practice. Her quilts can be seen in exhibitions and shows around the world. Anne is one of those all-around creative minds that creates beauty everywhere she goes. Anne’s latest book Weaving Within Reach is full of accessible weaving projects that reach beyond conventional weaving projects into jewelry, pillows, baskets and even clothing. I cannot wait to see her woven espadrilles come to life in May! Anne Weil -Anne Weil is the creator of the blog Flax & Twine and a designer of patterns that have been published by Martha Stewart, Design*Sponge, Elle Decor, Real Simple, Sweet Paul, and the Huffington Post. The author of Knitting Without Needles and Weaving Within Reach, Anne teaches classes nationwide at art retreats and local yarn stores and online at Creativebug.com and Craftsy.com. She lives in Denver, Colorado, with her family. 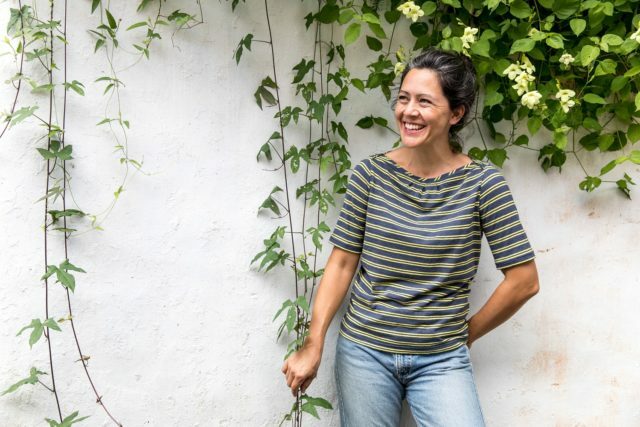 In the past several years, Anna has exploded into the world of adding color to textiles with stamping, stenciling, indigo-dying and now bright, bold, color hand-dyeing. Her latest book Hand-Dyed has just hit the book shops and I can’t wait for my pre-ordered copy to arrive. Anna manages to take classic dyeing techniques and make them modern and fresh. I’m so looking forward to seeing her hand-dyed fabric on a pair of fabulous shoes just in time for summer sunshine. June can’t get here fast enough. Anna Joyce -Anna is a Portland-based artist and textile designer best known for her vibrant hand-dyed clothing and housewares collections. She draws deep inspiration from the colors in nature, and her hand-dyed pieces are sold around the world. Anna’s first book STAMP STENCIL PAINT: Making Extraordinary Patterned Projects by Hand, is a guide to hand printing and painting patterns. Her new book HAND DYED: A Modern Guide to Dyeing in Brilliant Color for You and Your Home has just been released. Her work has been featured in print in Real Simple, Anthology, and Lucky magazines, and online on Apartment Therapy, Design*Sponge, and sfgirlbybay. 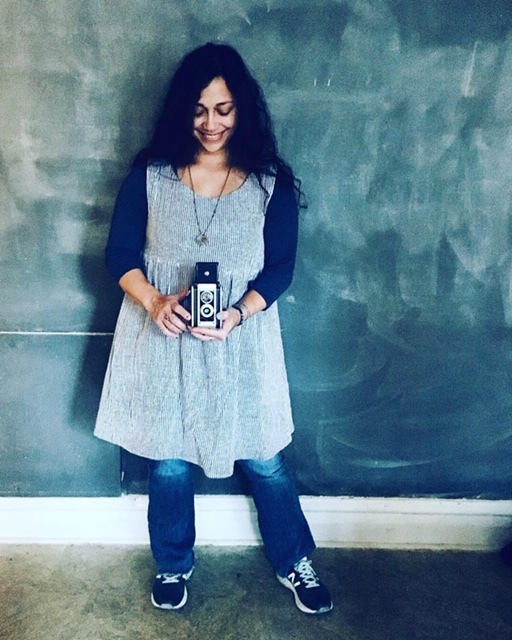 A finalist in the Martha Stewart American Made Awards, she sells her work on Etsy (where she has more than 15,000 followers) and through online shops and boutiques around the country. Meghann spends most of her time designing amazing women’s garment patterns but her secret is a background in creating stunning items out of leather. For the Artist Series in July, Meghan is going to create LEATHER shoes and show us how she does it. I’ll admit that I’ve even bought a secondhand leather coat with the intention of making espadrilles! I plan on following along with Meghann’s PDF to learn as much as I can from this dazzling maker. Meghann Halfmoon – Meghann Halfmoon lives and works on the small Caribbean island of Saba where she designs sewing patterns and sewing retreats for her label halfmoon ATELIER. She believes that simple design and choices can have a big impact on our lives, on the people making our textile and on the planet. 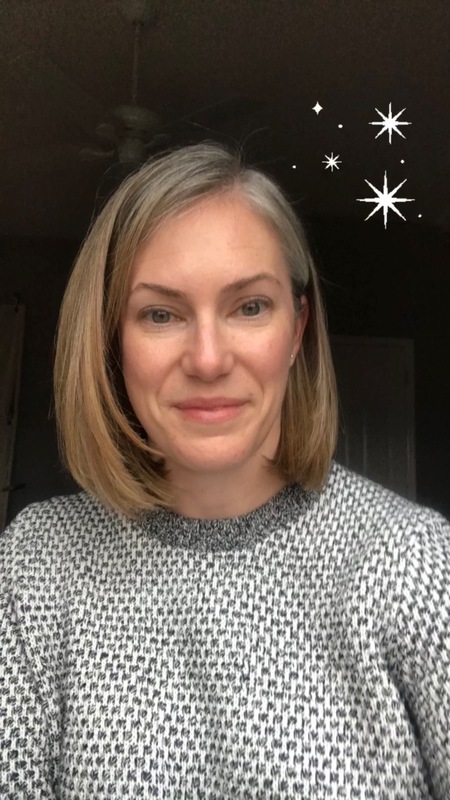 Meghann’s mission is to help sewists create a more sustainable handmade wardrobe by designing simple, unique sewing patterns and facilitating their search for ethically produced fabrics, while sharing her passion for making and travel through extraordinary sewing experiences. This multi-talented woman needs almost no introduction. Her fabric line lives far and wide and is one of the best-selling of my fabric kits. Jen truly is the queen of block printing and silk screening. More than that, her book Print Pattern Sew has an espadrilles pattern in it that makes me swoon. So, she comes to us in August all set (right around the anniversary of her glorious book) and with an original block print. How lucky are we?! Jen Hewett – Jen is a printmaker, surface designer, textile artist and teacher. A lifelong Californian, Jen combines her love of loud prints and saturated colors with the textures and light of the California landscapes to create highly-tactile, visually-layered, printed textiles. 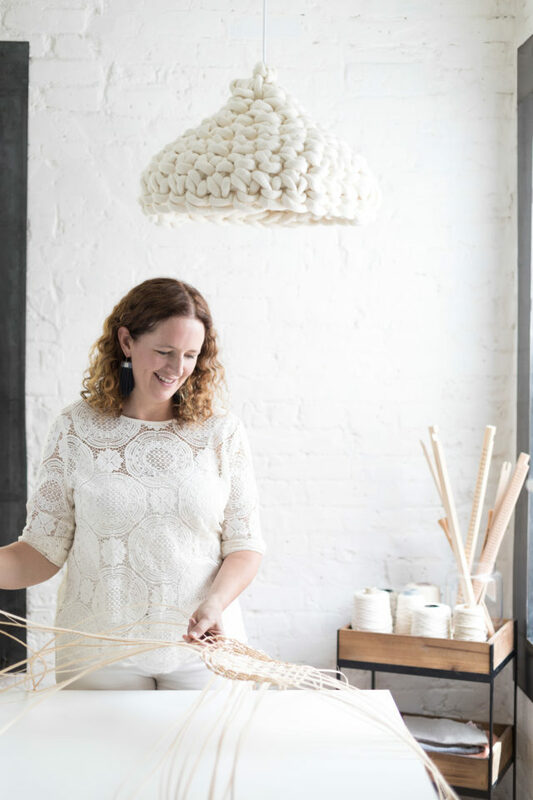 Her clients include Cotton + Steel Fabrics, Princeton Architectural Press, and Fringe Supply Company. Her work has been featured in print in Better Homes and Gardens, UPPERCASE, and Pressing Matters, and online on Design*Sponge. 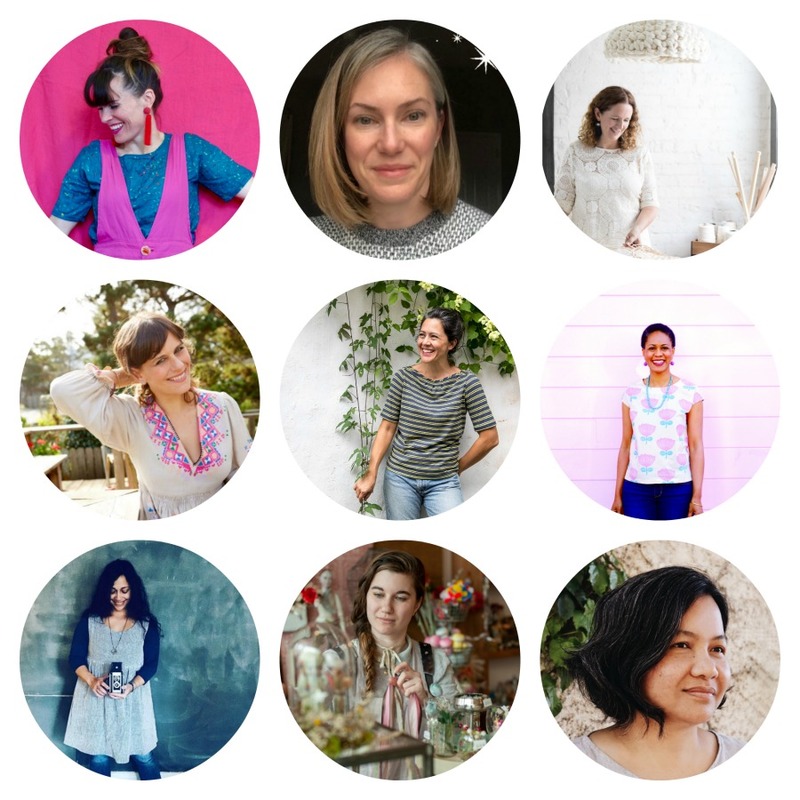 Her first book, Print, Pattern, Sew was published by Roost Books in May 2018. Leilani is one of those people whose elegant, playful style captured me immediately. She runs a business selling chalk bags for climbers but her creative energy extends into so many wide, varied directions. Plus, her Instagram is full of fabulous videos that make everyone smile. She will be bringing her signature, artistic style to a pair of watercolored and stitched espadrilles in September and I’m dying to learn how to create from her. Leilani Peirson – Leilani Pierson is an award-winning mixed-media fiber artist, free-lance writer, designer, and instructor. She has written several articles for magazines – including Cloth, Paper, Scissors, Quilting Arts and STUDIOS. Leilani enjoys coming up with eclectic projects while using very simple materials in her creations. She lives with her wee family in Chicago. Emma’s embroidered and hand-painted clowns and mice currently populate my sewing studio and keep me company while I work away. Most people probably assume you buy stuffed animals for kids but as soon as I saw Emma’s creations I knew I needed their peaceful, inspiring energy next to me! They are my work buddies. Emma brings that same energy and love of the circus aesthetic to her ethereal works on linen. Everything she creates looks like a full story about to unfold. I can’t wait to see that translated into espadrilles come October! Emma Mierop – Emma’s imagery is filled with animals, moons, stars, circus clowns and acrobats. She describes herself as a collector, machine embroideress and a toy maker. Her work includes framed textiles, children’s toys and ornaments using a combination of skills in illustration, machine and hand embroidery. Emma uses freehand illustrations of little people or imagery on her sewing machine with an embroidery setting. She uses unexpected color sparingly with embroidery thread and paint evoking an ethereal, other-worldly scene. Her work is repetitive with color but experimental with materials. Once she has completed her embroidery, she embellishes by hand with thicker threads, beads and other findings. For as long as I have been creating, I have been admiring Arounna’s work. 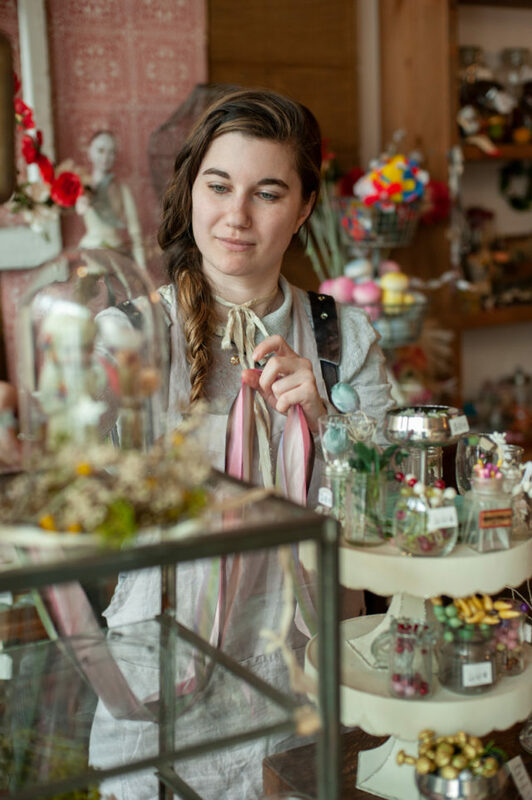 Everything she creates at her shop Bookhou, which she runs with her husband, manages to straddle the line between simple and stupendous. I’m so honored that she agreed to warm our toes in November with a pair of punch needle slippers. Slippers! Arounna’s latest book Punch Needle, which is set to release in April (so be sure and pre-order now), displays everything there is to love about this trending craft. Of course, in her characteristically grounded style this traditional craft becomes modern and unexpected. I’m looking forward to seeing it translated into lovely slippers. I can’t wait to learn from the best. Arounna Khounnaraj – Arounna is a Canadian artist and maker working in Toronto where she immigrated with her family from Laos at the age of four. While her education includes a master’s degree in fine arts in sculpture and ceramics, it was through subsequent residencies that she found her current focus in fibre arts. 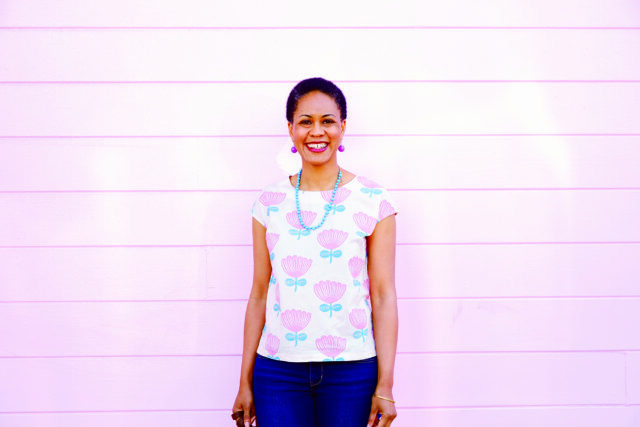 In 2002 she started Bookhou, a multi-disciplinary studio with her husband John Booth, where Arounna explores screen printing and a variety of textile techniques such as embroidery and punch needle. She creates objects such as bags, home goods and textile art. Currently, Arounna’s work using the punch needle has created a social media sensation. From wall art to cushions and bags, her punch needle pieces highlight her botanical and abstract designs and her sense of colour have brought a modern, new life to an old technique. There you have it! Now you know why this year feels so full of espadrille goodness and bursting with creativity. Can’t wait to watch it unfold! Great idea. Much success. I”ll be awaiting in particular for the leather, the embroidery, the painted and the punch needle. I’ve recently picked up interest in needle punching. The only trouble is opening more closet space. Didn’t need one more pair of shoes either.